To begin, children need to learn individual letter sounds. 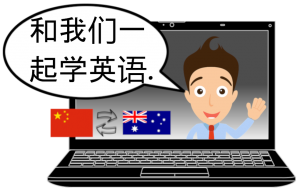 For vowels, that is their short sound (‘a’ as in apple, ‘e’ as in egg, ‘i’ as in insect, ‘o’ as in orange, ‘u’ as in up). For your child’s reference, print and display this Alphabet Chart. Print and laminate our Alphabet Flash Cards. Practice makes perfect! 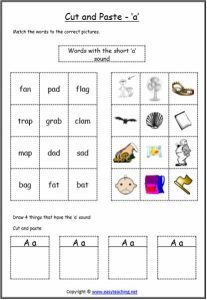 Use the Letter Sound Cut and Paste worksheets below to support your child’s letter sound practice. Cut and Paste to match the word to the picture. Each worksheet has a different focus letter.